Diwali around the corner? It’s time for cards party and lots of gambling. It’s time to loosen those pockets and spend a buck or two on teen patti, whether or not you know the game. It ain’t no Vegas but it ain’t less either, and what is Diwali about if not food, lights and gambling? Bored of the same old teen patti game though? Here are 8 fun variation card games for Diwali party. The game goes easy. You’ve to make a number closest to 999. All pictures including jacks, queens and kings are zeroes and Ace is one. So if you are dealt 5, 8 and Ace the closes number you make is 851. Whoever is the closest wins hands down! Pretty sure you’d have played this sooner or later. What you need to win is the worst set of cards possible for the normal teen patti. So well you got 2 and 3 and 5 without colour? Take the money pot! Easy as hell. All you ought to do is deal four cards to each player where they play with three cards each of their choice and discard the one card of no use to them. Each player is dealt 5 cards and the number to make is closest to 10,000. Ace is one and all other photo cards are zero. The person with least difference wins but in case two people have the same difference, the person with a number lesser than 10,000 wins! So a game with 10,000? Win your gamble. Each player is dealt three cards where the King and the smallest card will be assumed the Joker. A joker can be played assumed to be any card of the player’s choice. So you got 2, 4 and King? You got a trail of 4. In case it is 2,2 and Queen, the little cards are both Jokers and you got trail with the Queen. Easy trails there? Each player is dealt 2 cards where they’ve to make a sum total of closest to 21. Ace is 1 or 11 and Photo cards are 10 each. A player gets an option to purchase another card at the set cost to make the total closer to 21. Any sum above 21 is bust or disqualified! So you like the concept of Jokers? You’ve got 4 in here. The players are dealt three cards each where 1,9, 4 and 2 are Jokers and can be used as any card of the players choice. Slightly complex but will make for huge wins and lots of mind games. 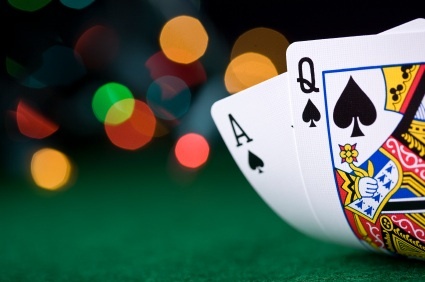 A player is dealt 6 cards where he is to play 3 games with the dealt cards – with 3 cards, with 2 cards and with one card (on bridge rule with preference order being Spades/Hearts/Diamonds/Clubs). The game on 2 cards is to be played with one imaginary card and the one with 3 is the normal game. A player then gambles his rounds and will require to win at least 2 of 3 games to win the money pot. Get on with these super fun games for Diwali party and we hope you ring in some moolahs! But be wise while you gamble, people!